The rear garden of the cottage in Hammersmith's Lower Mall was set up to accommodate artistic endeavors. 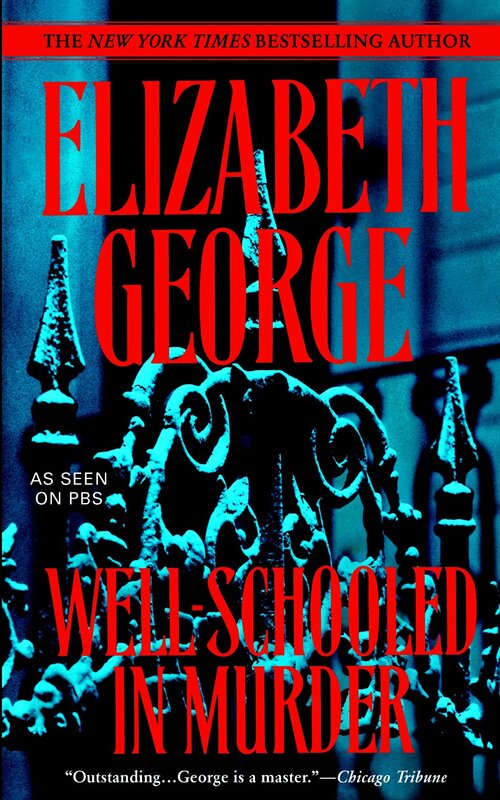 -- Well-Schooled in Murder by Elizabeth George. 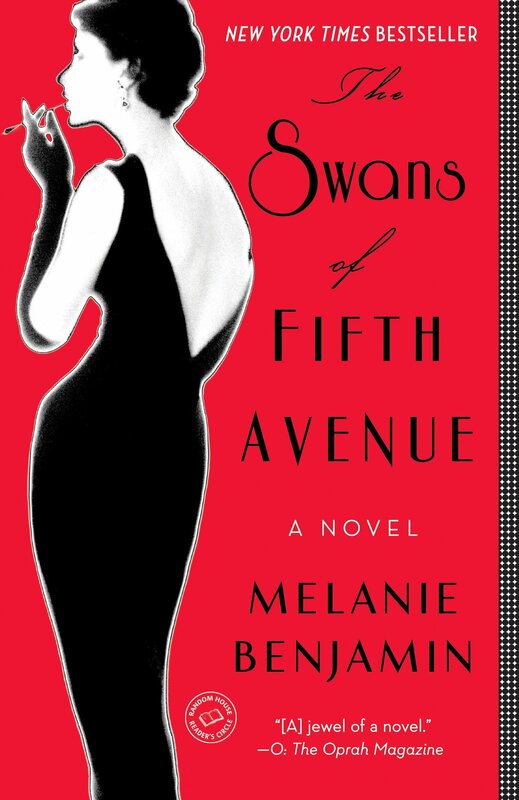 This is the third book in her Inspector Lynley series, which I came to late, but really enjoy. I'd make faster progress with the series, but my library doesn't have unabridged audiobook editions. I read a lot of mysteries with my ears. How thick the silence was, though it was not really country here of course, not like in Wales in her childhood. Wilder Buckinghamshire was a little away, and the houses went on continuously among the trees in the direction of London, whose pink glare illuminated the night sky in winter. -- The Sacred and Profane Love Machine by Iris Murdoch. She’s one of my favorites, but I have a ways to go to get through them all - she wrote a lot of books! Last week I read a Walt Whitman poem on Twitter. This week, I found a charming Portable Walt Whitman paperback edition in a Little Free Library on my walk to work. We think our smartphones spy on us, but apparently it’s the universe that does. 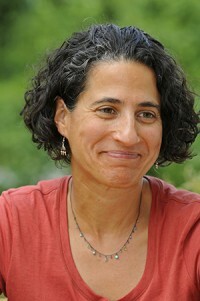 Ellen Notbohm is an award-winning author best known for her books on autism. 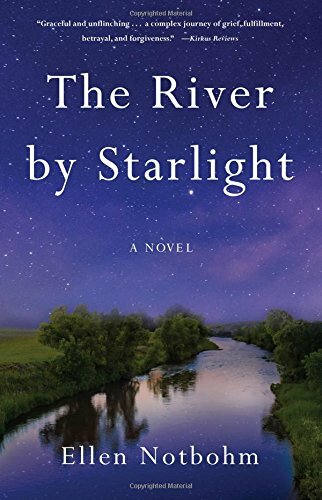 Her new historical novel, The River by Starlight, tells the story of a homesteading couple in Montana in the early 1900s struggling with the wife's recurring postpartum depression. The book was inspired by research into Ellen's own family history. 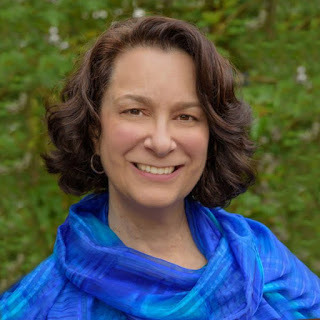 Ellen recently talked with Rose City Reader about her new novel, women's health, and what she calls her "reading sutra." How did you come to write The River by Starlight? In my many years of genealogical work with families around the world, I’d learned that every family has what we call a brick wall—that one person no one will talk about. There’s always an aura of taboo around “the black sheep” or the “fallen angel.” In our family tree, a woman I call Annie Rushton (not her real name) stood behind a century-old brick wall. I felt pulled to her, as a woman and a mother. It took years of digging and a grain of luck to find out why the silence—Annie faced recurring postpartum psychosis at a time when neither medicine or society understood it. Given the frontier-era social stigma and ignorance surrounding women’s mental health issues, not to mention the gender-biased laws of the day, what we now know to be a bona fide medical condition threatened to cost Annie nearly everything that forms the core of what we build our lives and values upon. I wanted to tell both her story and that of her husband, Adam Fielding, in a way that would heal prejudices and injustices. Maternal mental health is rarely in historical fiction. It’s foremost a woman’s story, to be sure, but the male partner’s perspective, with its profound grief and desperation, is a story even less told. Adam is an equally riveting figure in a love story that extreme adversity did its best to destroy. How did you research the social and medical history you relate in such detail? To be able to build Annie and Adam’s world with authenticity, I had to go the places they lived and experience the land and the sky and the water and the people for myself. I made six trips over several years, spending some time on their actual Montana homestead, exploring the city of Edmonton, meandering the back roads of northeastern North Dakota. Over the course of the research I visited or consulted more than forty libraries and archives, and read miles of microfilmed newspapers, and numerous kinds of records: birth, death, separation, marriage, divorce, adoption. School, military, prison, church, land purchase and sale, judicial, census, voter registration records. Immigration, border crossings, naturalization. Business licenses. Insurance records. County and state fair entries. The medical information came from Montana State Hospital public records and conversations with the superintendent, and from histories of similar facilities of the early 20th century, from newspaper accounts of how those with mental illness were handled by their communities, and from medical texts of the day. The most intriguing of those is a 1916 book entitled Who is Insane? by Stephen Smith, who served as State Commissioner in Lunacy (yes—a real title, real position) of New York in the 1880s. He deliberated the societal boundaries of so-called insanity and put forth the idea that all of us have it within us to, at a given moment, be neurologically or emotionally triggered into a lapse resulting in “derangement,” “peculiarity,” go “wrong in the upper story” or “out of gear.” Dr. Smith was appointed by Governor Alonzo Cornell, who believed that many “insane” individuals had simply never had the opportunity to talk through their experiences with a professional who gave them any credence. Many things about the subject matter were striking—the depth of societal stigma and ignorance surrounding postpartum mental illness, the lack of meaningful treatment, the disregard for doctor-patient confidentiality, the callous laws. It also struck me how the law and the community, so unforgiving of women with mental health issues, seemed to look the other way in other matters of family. Several of my characters are beset by circumstances driving them to leave marriages, which also meant abandoning children and other significant responsibilities. Those who left and those left behind went on to create new family relationships, with no evidence of divorces, remarriages or adoptions. They presented as families, and were accepted as families, like an early version of don’t-ask, don’t-tell. You dedicate your book to your “once-in-two-lifetimes man.” Will you explain that one for us? Wow, people read book dedications? Who knew? But nope, not gonna explain that one. He knows who he is. A little intrigue is a good intro to the rest of the story, don’t you think? So many terrific writers don’t get the attention they deserve; most of the books on my nightstand are by authors I’ve never read before. I don’t have favorite authors because I find the designation too limiting and want to continue to challenge myself to read broadly, not just deeply. That said, some authors and books who influenced my work on The River by Starlight are Nuala O’Faolain’s My Dream of You, Wallace Stegner’s Angle of Repose, Ivan Doig’s The Whistling Season, Anna Keesey’s Little Century. My reading sutra is something older, something newer, something foreign, something classic. I just finished Stephen King’s On Writing] and Laura Nicole Diamond’s Shelter Us. Next up, Peter Hoag’s Smilla’s Sense of Snow and Kate Chopin’s The Awakening. That you have to able to hear the word “no” a lot. Even successful authors receive far more so-called rejections than acceptances. I say “so-called” because I don’t find the word rejection helpful or even accurate. I have a certain odd gratitude for the countless non-acceptances and non-responses I’ve received over the years, because each one meant I’d avoided placing my work with the wrong agent, editor, or publisher. Not much is more important than that. Once published, you learn very quickly that it’s permanent; once it’s out there, you can never retrieve the book that wasn’t done well, the compromises you come to regret. So, a valuable cousin of that advice about being able to hear “no” is, know when to say “no.” I’ve walked away from book deals that just didn’t make sense, from either a financial or creative perspective. It can also be valuable as well as protective and/or liberating to know when to tell yourself “no,” whether it’s to rules of the trade that make no sense to you, a direction a particular piece is taking that doesn’t feel right, or over-investing effort, emotion, time or money into a literary black hole. You have a great website and are also active on Twitter and Facebook. From an author's perspective, how important are social networking sites and other internet resources to promote your book? 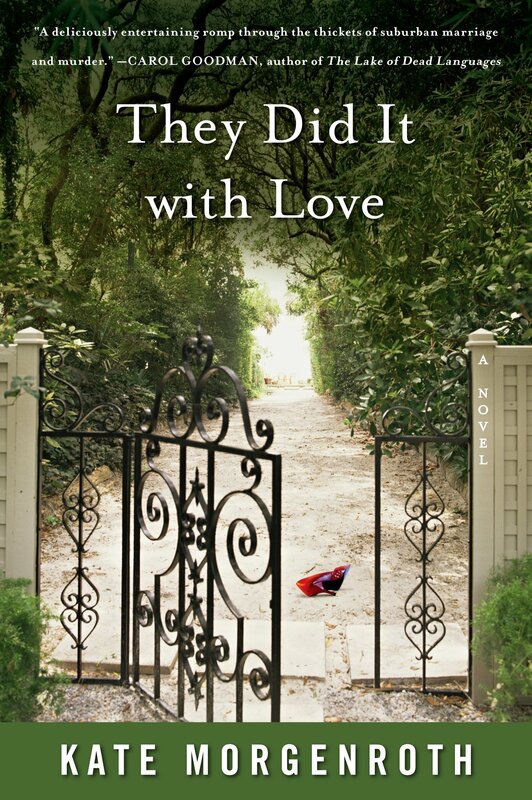 It’s the way of the world for the moment, so an author who eschews social media and an internet presence does so knowing she’s severely limiting her opportunities to connect with readers and potential readers. They expect an internet presence and can’t be counted upon or expected to dig through less immediate sources. However, there’s a lot of latitude in how much presence, how much effort an author wants to devote to her digital platform. Websites needn’t be elaborate. There’s no “right” amount of social media. I know many authors who are only on Facebook, or only on Twitter, and post only when they feel they have something to say. We do have to leave ourselves time to write and ruminate. Hence the balancing act. Next up is a 15th anniversary edition of my most popular nonfiction book, Ten Things Every Child with Autism Wishes You Knew, to be published in 2019. It too traces the journey of a person behind what was once a little-understood condition, in this case, my son and his autism. I didn’t know about Annie when I started writing Ten Things, but the similarities are there. Ten Things is a story about one of her descendants, imbued with her same resilience and tenacity, and has proven timeless in its own way. After that, I’ll let the creative well refill a bit and see what floats to the surface. I like to keep stretching myself as a writer, trying new forms. One idea currently swirling is a novel in short stories, based on a 1920s tombstone I first saw ten years ago on the Oregon coast. It led me to some intriguing and disturbing information on workplace safety and the value of human life vs the risks of commerce in the building of our state’s most iconic industries, timber and exporting. Another deeply human, 100-year-old story. I seem to like those. THE RIVER BY STARLIGHT IS AVAILABLE ONLINE OR ASK YOUR LOCAL BOOKSELLER TO ORDER IT! I was born in the winter of 1898 at Belfast, the son of a solicitor and of a clergyman’s daughter. My parents had only two children, both sons, and I was the younger by about three years. 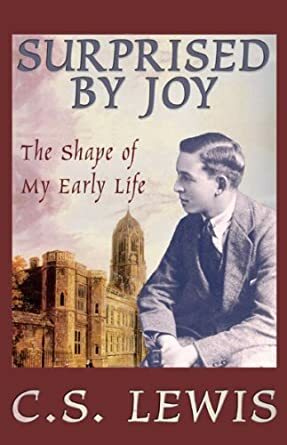 -- Surprised by Joy: The Shape of My Early Life by C. S. Lewis. Such a prosaic beginning for the creator of Narnia! 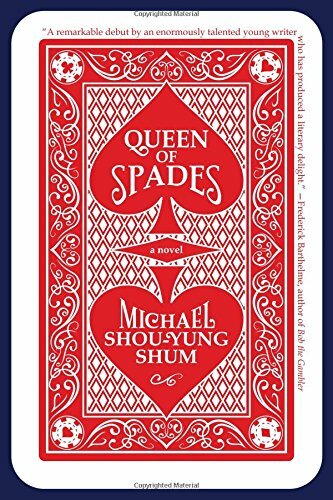 This has been on my TBR shelf forever, so I finally decided to read it with my ears and got the audiobook download from my library. I am in northern Iceland, 913 miles and a softly arcing mapline away from my own Norwegian beginning stories, and I have a lot of questions, too, about things I don't understand, that can't be easily explained or ordered, in my mind anyway. I have plenty of names, but no way yet to compile them, or to at least attach a meaning I'm willing to accept. 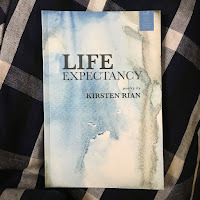 -- Life Expectancy by Kirsten Rian. Kirsten's new book of poetry also includes several essays. 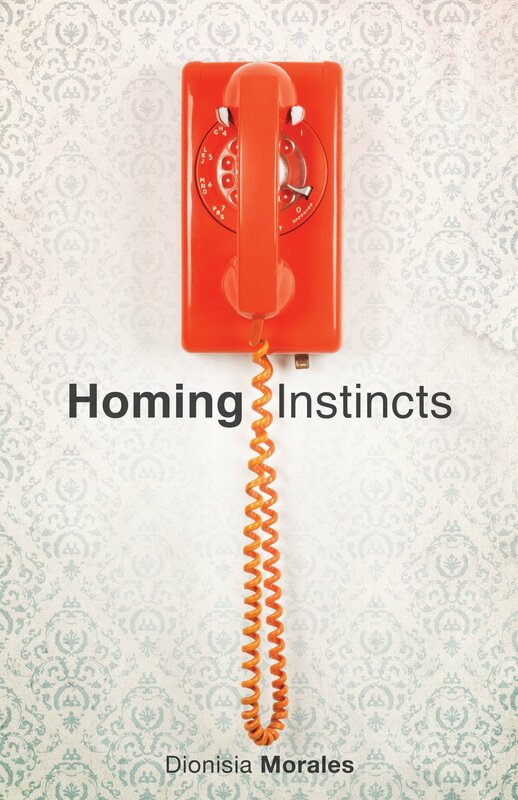 In both poems and prose she explores family history, motherhood, and life taken in unexpected directions. What books came into your house last week? The Little Free Libraries in my neighborhood have been overflowing and I found three books that look like fun summer reads. 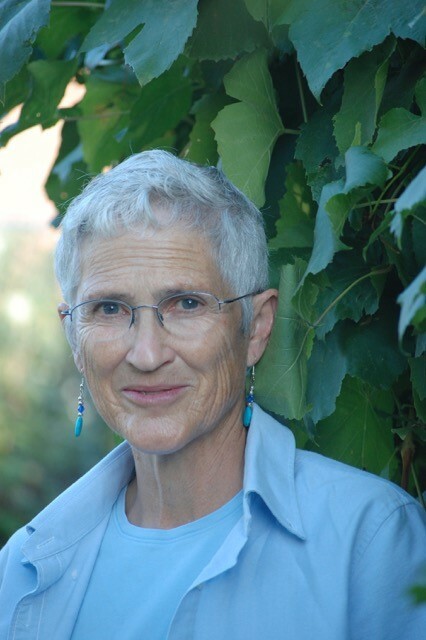 Bette Lynch Husted is a poet and essayist who just wrote her first novel, All Coyote's Children, a compelling story set in northeastern Oregon. PORTLAND EVENT: The book launch of for All Coyote's Children is this Monday, June 11, 2018, at 7:00 pm, at Broadway Books. Bette will be there to read from her book and sign copies. 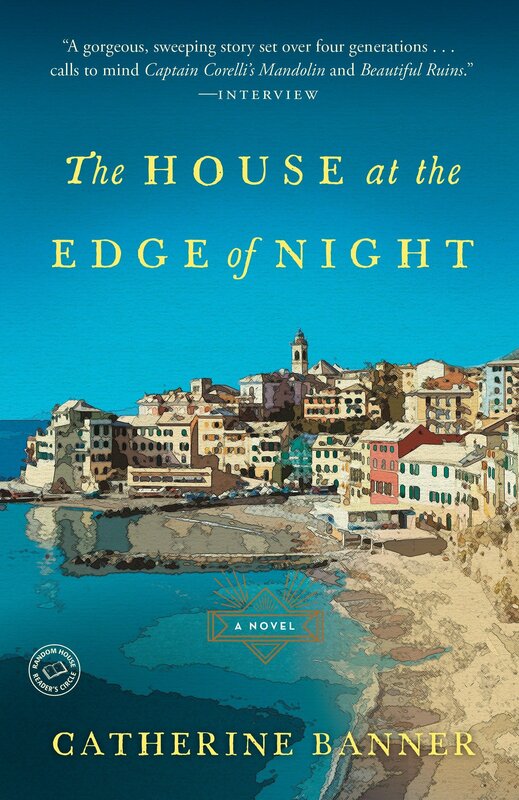 Bette recently talked with Rose City Reader about her new novel, writing, and her own favorite books. How did you come to write All Coyote’s Children? The story takes place in in northeastern Oregon, on and around the Umatilla Indian Reservation. What drew you to this location for the setting of your novel? I spent some time researching local history and spinning my wheels, trying to find a way into the story I wanted to tell. In some ways this book was born at a June wedding a year after that workshop when I heard a Umatilla spiritual leader say, “We’re not just joining two people here today. We’re joining two families.” My son, wearing a ribbon shirt and moccasins, looked as happy as I’ve ever seen him; the bead and shell wedding veil he was lifting from his bride’s head was one he had made especially for her. His own heritage is mainly Celtic and Northern European; the bride, who is Umatilla-Cayuse and Apache, was a former student and my own longtime friend. I knew this marriage wasn’t the answer to the question that has troubled me all my life—the story most Americans don’t talk about because, as one of the characters in All Coyote’s Children puts it, “it cancels all our mythologies. No wonder we can’t face it.” (How do any of us face the fact that the indigenous peoples and cultures of North America were dehumanized, seen as obstacles to be eliminated as others “tamed a continent” -- a phrase used by our president in his recent Naval Academy graduation address -- and then all but erased from national consciousness?) But it was a joyful day, and the spiritual leader’s words felt extraordinarily generous. That day, healing -- and a story about healing -- seemed possible. I studied literature because I wanted to be a writer. This was before M.F.A. programs, or at least any that I knew about. For years, teaching high school and then community college literature and writing took most of my time and energy. But it fed me as a writer, too. Teaching Oregon /Northwest Literature and Native American Literature courses, as well as an expanded-canon American Lit. class -- and learning to guide students deeper and deeper into their own writing -- were gifts. You are known for your poetry and essays. What was it like to write your first novel? As a young writer, I imagined being able to say, “I’m working on a novel.” A real writer could do that, I thought. Even after I believed I was a “real” writer, I wondered if I could write a sustained work of fiction. But discovering these characters, and watching them move through their lives, was as close as I have ever come to experiencing magic. 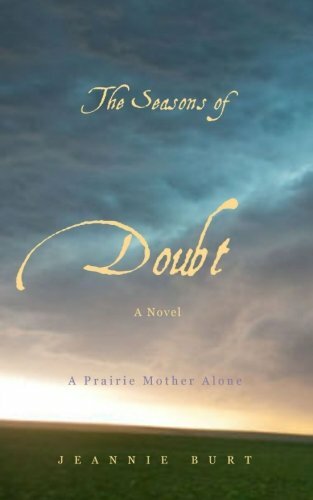 I wrote much of the novel in the community room of our public library, a space I shared with and homeless people trying to stay warm or escape the eastern Oregon heat. Away from phone and dog and my own loved ones, I could enter the world of the novel and live there for a few hours. As I pulled into a parking space I always wondered, what will they do today? They always told me. And I was “working on a novel.” It was a joy. I almost didn’t want it to end. In inland Northwest Native cultures, Creator chooses Coyote to prepare the world for human beings. He’s comic, too -- making the same kinds of goofy and appetite-driven mistakes we humans make. (“I was engrossed to the exclusion of thinking,” he says in Archie Phinney’s translation of the Nez Perce creation story, his excuse for forgetting to save the piece of the Swallowing Monster that will become the Nez Perce. Not to worry: they will spring up from the blood-soaked earth.) And Coyote is resilient. A survivor, in spite of himself. Ranchers have waged all-out war on coyotes for years, but a few years ago I read that there are now more coyotes in America today than there were in 1492. “We’re all in this together,” characters in All Coyote’s Children realize. That’s what the title means to me. Coyote still has much to teach us if we pay attention. Molly Gloss has been a writing mentor, a guide as well as a friend. I loved her work long before I met her. I was fortunate to be in a writing group with her and with Ursula K. Le Guin, and I can hear both voices in my head as I revise. Leslie Silko’s Ceremony -- what need I say? It’s an amazing book. I read fiction, creative non-fiction (sometimes just non-fiction) and poetry. We have been inviting Northwest writers to the First Draft Writers’ Series [in Pendleton, Oregon] for five years, so every month I get to read writers I admire. And just now I’m reading Kevin Young’s Brown, Tracy K. Smith’s Wade in the Water, and Ursula’s Always Coming Home, as well as the manuscript of Molly’s forthcoming collection of short stories. (Lucky me!) And I recently finished Jesmyn Ward’s Sing, Unburied, Sing. One last gift, I thought. And the best writing advice any of us could ever receive. keynote speaker at Women Writing the West conference in Walla Walla, Washington at 7 p.m. on October 27. I hope to be working on another novel soon. And in the writing workshop group I mentioned, we each write and critique two poems each month, so I have quite a file to sort and revise, so I’m hoping for another poetry collection. I write a monthly column, “From Here to Anywhere,” for the East Oregonian, so I’m writing something nearly every day. ALL COYOTE'S CHILDREN IS AVAILABLE AT BROADWAY BOOKS, POWELL'S, AND AMAZON, OR ASK YOUR LOCAL BOOK SELLER TO ORDER IT! Two interesting and completely different nonfiction books came my way last week. What books came into your house? 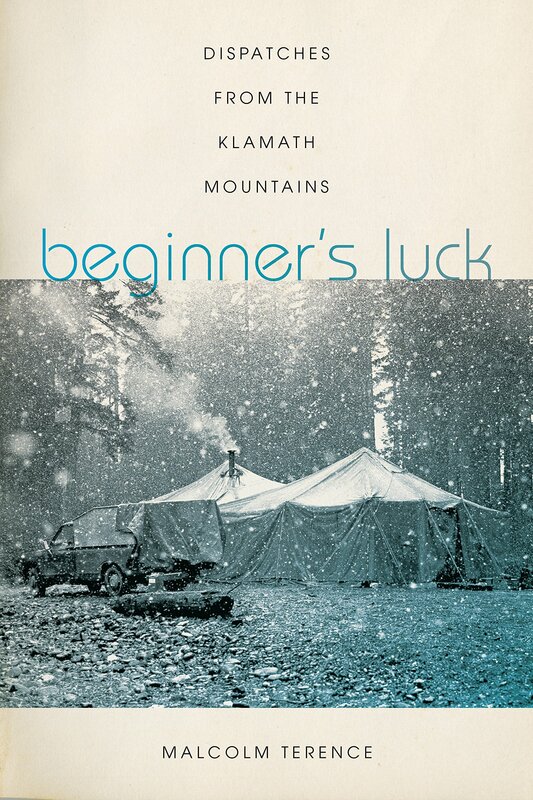 Beginner's Luck: Dispatches from the Klamath Mountains by Malcolm Terence. In the 1960s, Terence helped found the Black Bear Ranch commune near the California-Oregon border, as he has now chronicled in his "rollicking new memoir." Pay to Play: Sexual Harassment American Style by Tootie Smith. A timely book offering real life solutions to the problem of sexual harassment.